If you're looking for an ideal gift for the golfing enthusiast in your life in the Perth region, a gift voucher for 18 holes on the lovely Araluen Golf Club will make for a perfect choice! Araluen Golf Club is a challenging 18 holes of championship golf designed by Roger Mackay and Michael Coate, bordered by state forest and the Canning River. 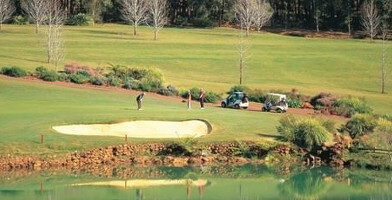 Araluen Golf Club is a challenging 18 holes of championship golf designed by Roger Mackay and Michael Coate, bordered by state forest and the Canning River.